1: Screw leg locking, giving a more convenient tripod leg handling. 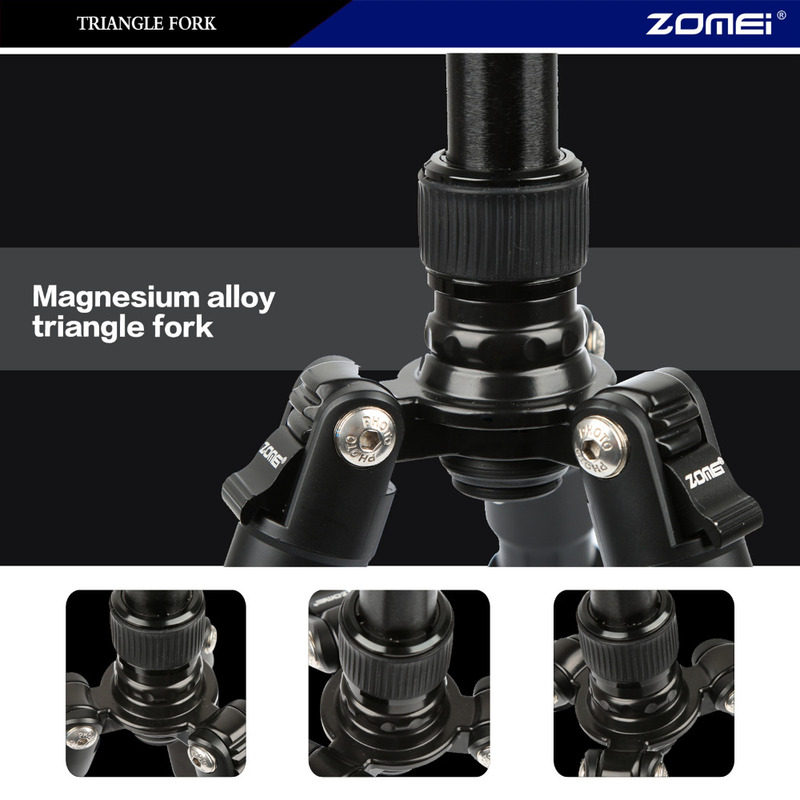 This camera tripod can be easily converted into a monopod. 2: 360 Degree panning complete tripods: Exact panoramas can be easily orchestrated using the graduated panning scale for accurate image alignment. 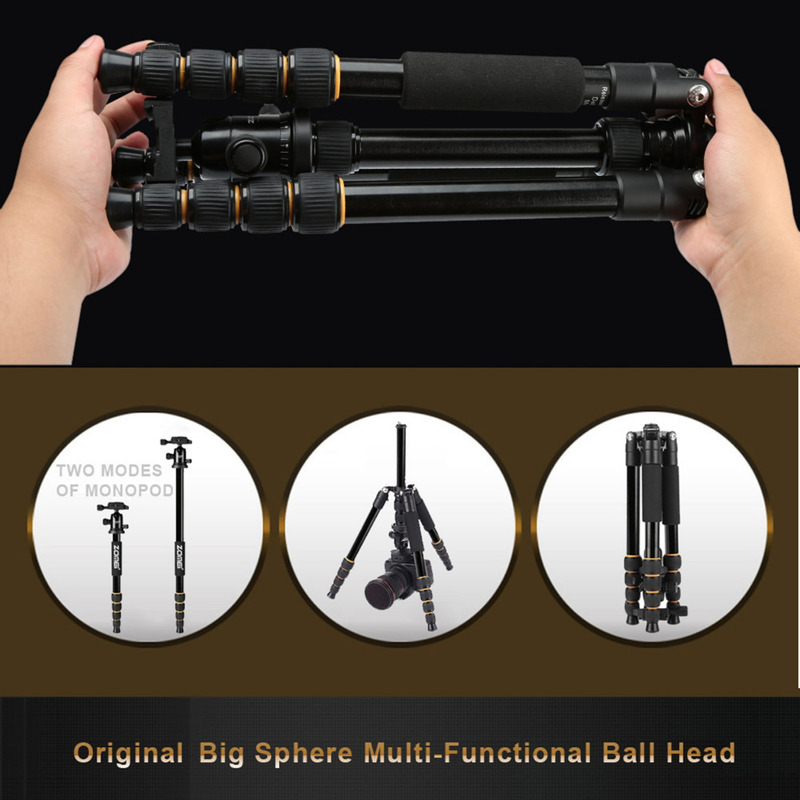 4: Precision matched ball head on the complete tripods: Universal ball head handles with secured clip, double securing your camera from accident dropping. Dual-action heavy duty ball head with compatible fast release plate. Integral Bubble Level: Lets adjustment to prevent uneven pans and head movements. 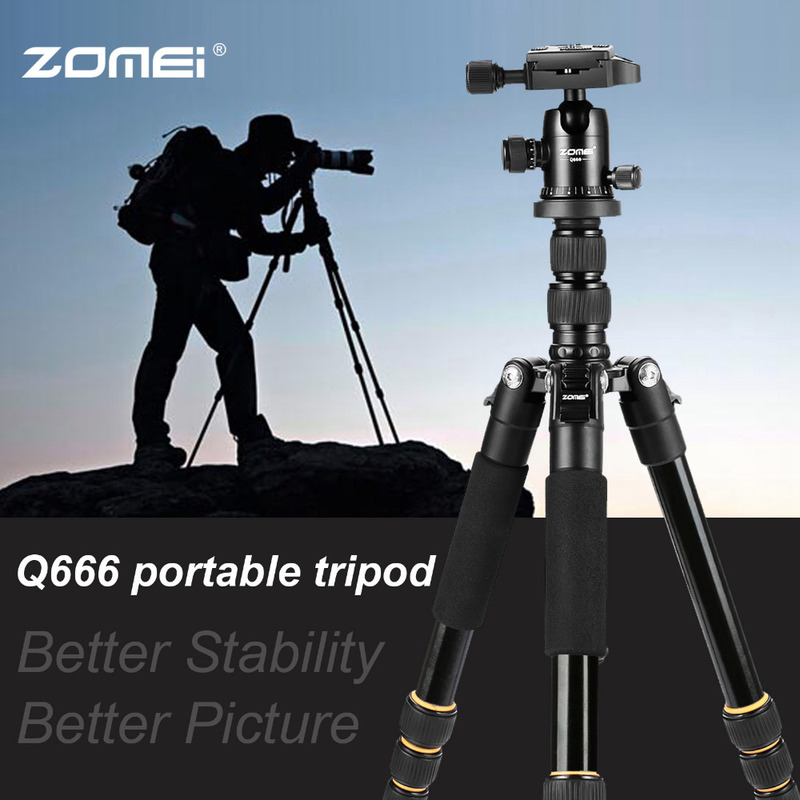 The tripod legs can invert and folded back 180 degrees making it small enough to carry just about anywhere. 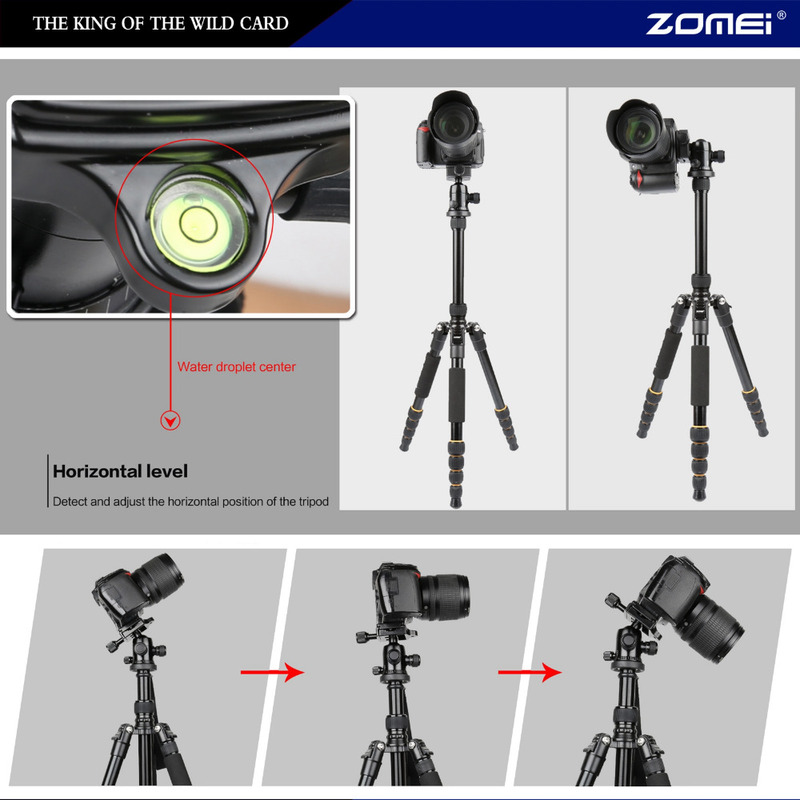 5: This complete camera tripod comes with Four Sections Center Column: you need to Get the height and ultimate versatility. Twist Lock Legs with Anti-Rotation System. 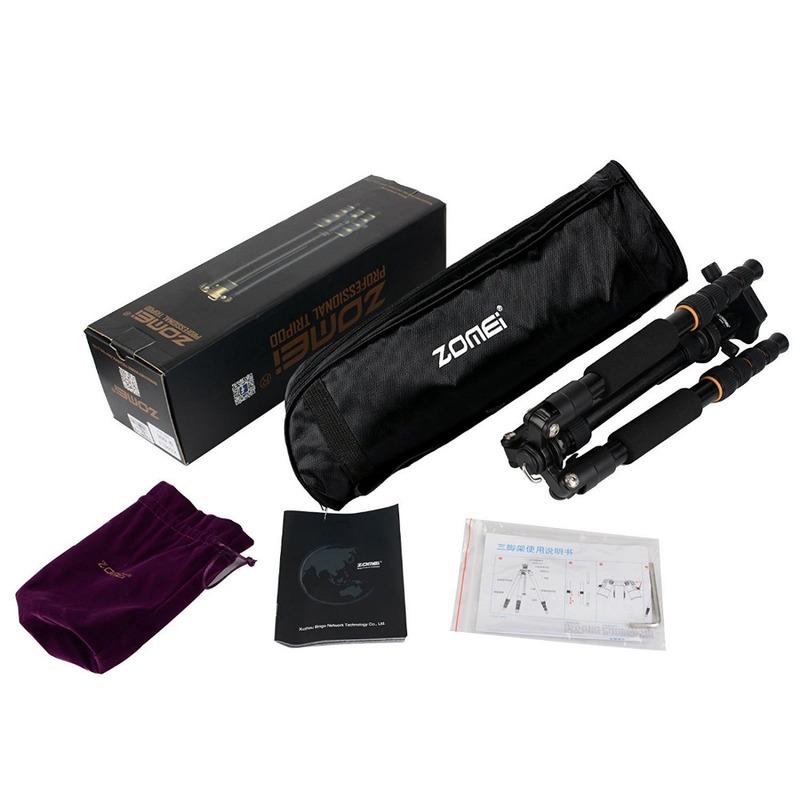 The Complete Tripods legs can invert and folded back 180° giving it a compact size of 20″ when folded yet 60.2″ when extended, it weighs 3.7 lbs and can support up to 33 lbs. 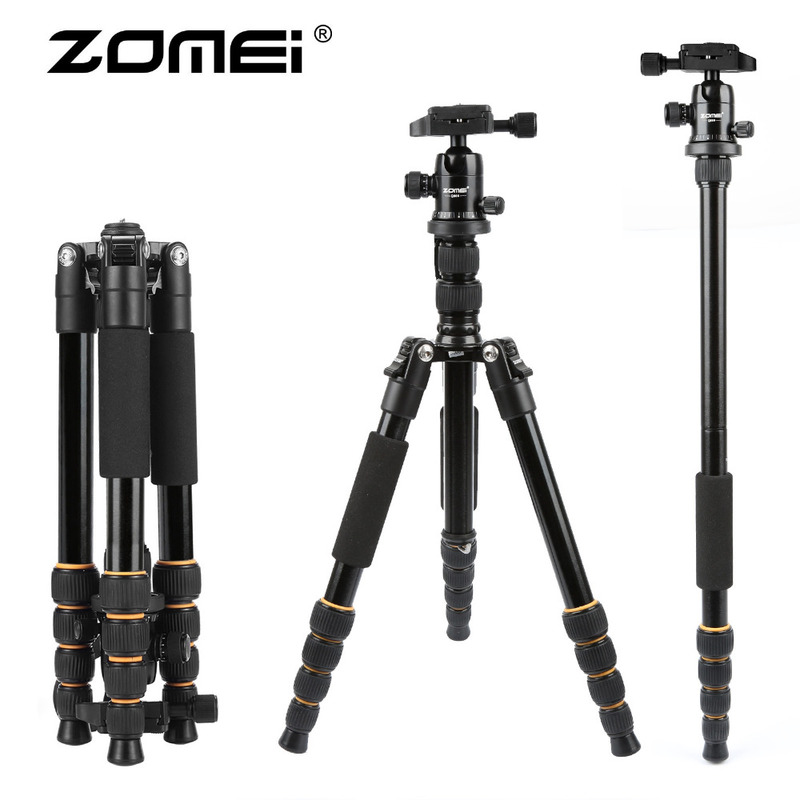 ZOMEI Complete Tripods Features converts into the full size 55″ monopod by screwing together the removable center column and tripod leg. Twist lock legs Twist lock legs with an anti-rotation system, paired with rubberized locking grips enable fast and fumble-free set-up plus weather and dust resistance. Comes with a carrying case for transport and protection. Center Column: Yes. Attaches to leg section to convert to the full-size monopod.